Stocks opened higher at the start of trading on Wall Street Wednesday, even as the S&P 500 continued to hover at the edge of bear-market territory amid what was shaping up as the market’s worst December since the Great Depression. ■ Retail stocks were among the day’s best performers after data from Mastercard showed that retail sales in the United States this holiday season were 5.1 higher than last year, and experienced their most robust growth in six years. Kohl’s was the best performing stock in the S&P 500, rising more than 4.5 percent. ■ Markets were closed Tuesday for Christmas, a holiday pause that offered a reprieve from four straight days of falling share prices fueled at least partly from President Trump’s steady criticism of the Federal Reserve’s decision to raise interest rates. On Tuesday, Mr. Trump eased up slightly on his attacks on the Fed, and suggested the drop on Wall Street was “a tremendous opportunity to buy” stocks. ■ Trading was mixed in Asian markets. Japan’s Nikkei 225 stock index rose 0.9 percent, but the Shanghai Composite index was down 0.3 percent, and the Shenzhen Composite fell 0.4 percent. 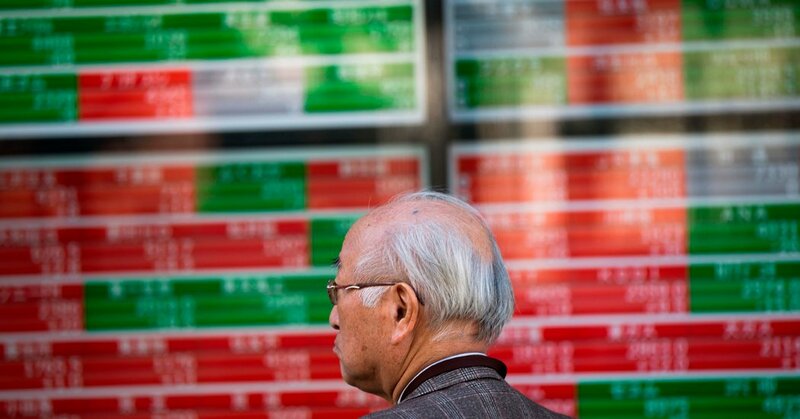 The Kospi index in South Korea fell 1.3 percent, and the Taiex in Taiwan fell 0.5 percent. ■ Many European markets were closed for the holidays. Next articleNew York City’s Public Housing Is in Crisis. Will Washington Take Control?